Goldilocks & Her Doodle: Wonderful Wednesday! Momma's little trooper visited the vet yesterday for a little poking and prodding. 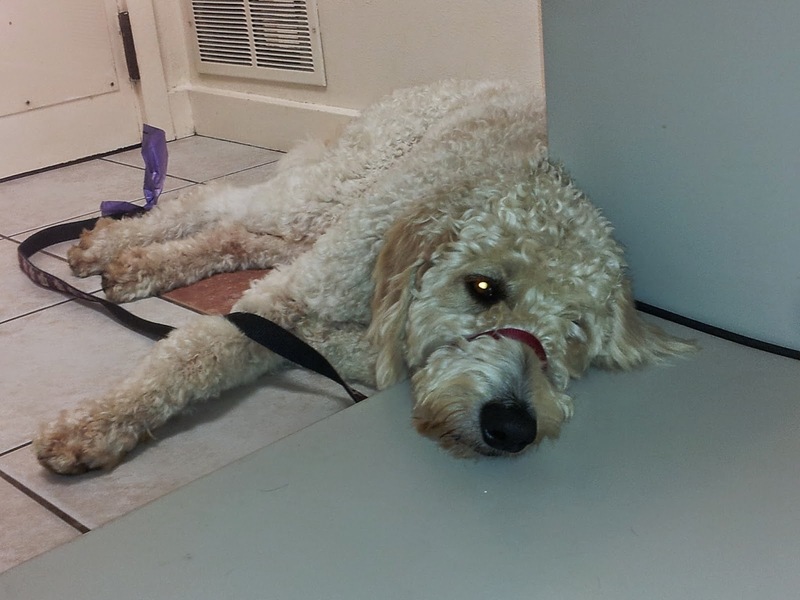 We had a laundry list of tasks to accomplish -- distemper shot, kennel cough vaccine, yearly heart worm test, and, of course, a brief examination of our goldendoodle's left ear -- another yeast infection -- too much swimming! Cayuga Veterinary Services, where Milton had a rabies shot the very first summer of his life, is a fantastic office with super friendly and knowledgeable staff! I really like our Dallas vet too, but I was very impressed yesterday by how warm everyone was towards us. Once again, with Milton's lean body and slow heartbeat, he was referred to as "athletic." I always find this description rather amusing because it sounds like we are raising a future soccer star or young Olympian! Milt is, quite frankly, the most physically fit one in our little family. After a clean bill of health, we were handed a big bill - $181, but our little boy is worth every last penny. On a side note, below is this morning's bounty! We just finished going through all that vet fun with our dogs too. Sesi had the ear funk too. 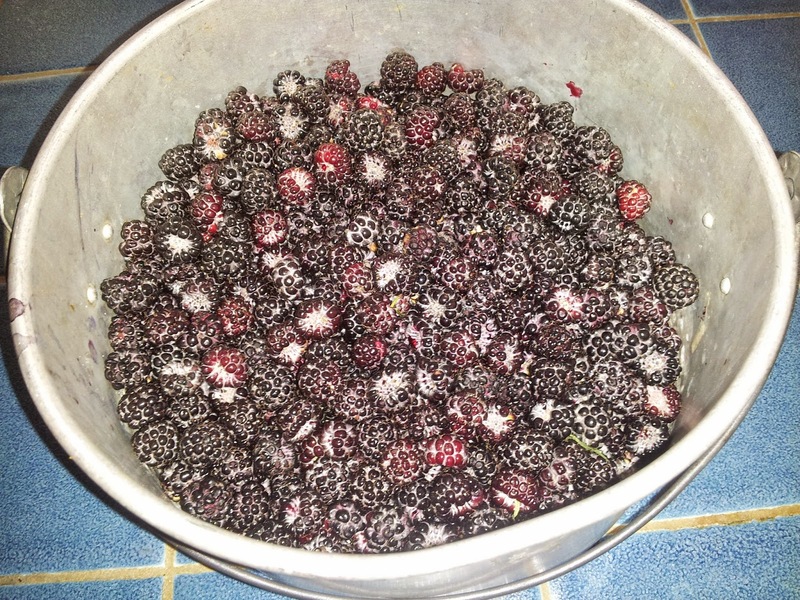 Wow do those black berries just grow wild like that where your mom lives! Rich would devour that pie. Black berries are his favorite fruit and jam. You are truly living this summer! Yup, they do! They are a lot of fun to pick during the summertime, but they are a smaller variety compared to the massive ones sold in the grocery store, so the seeds do get stuck in your teeth pretty easily...! Happy Fourth of July, Jenny!